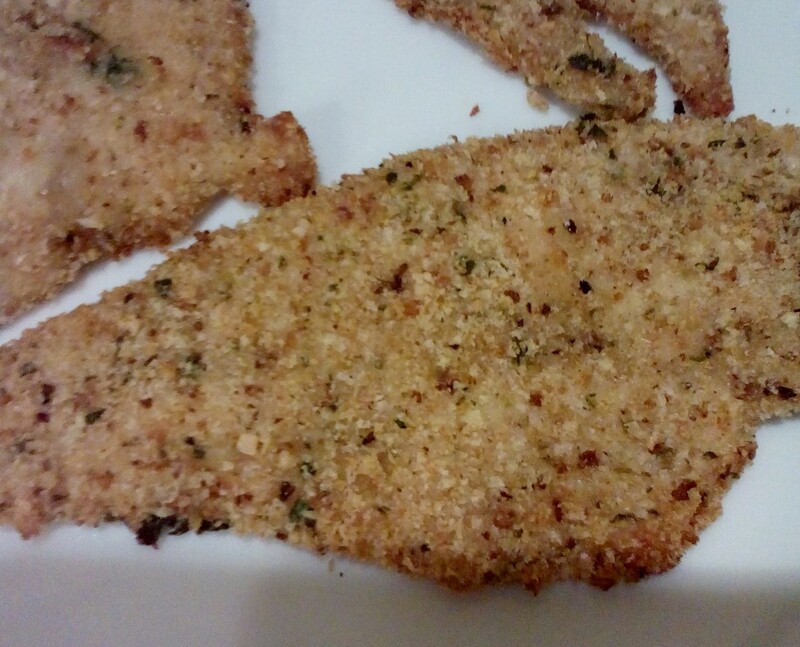 A lot of people know the recipe for cotolette alla milanese. 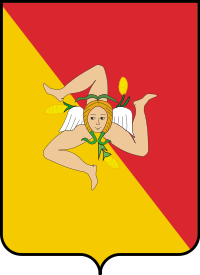 This much lighter version comes from Palermo in Sicily. 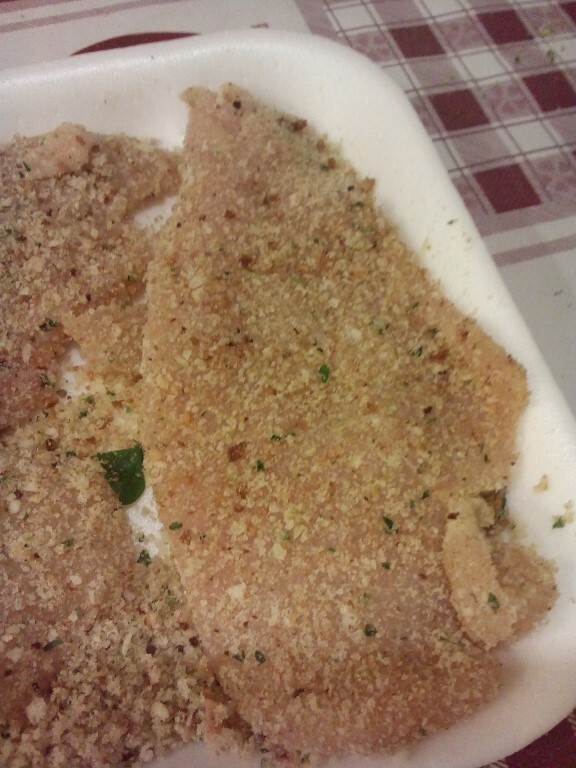 It uses a lot less oil as it is baked, not fried and no egg is used. 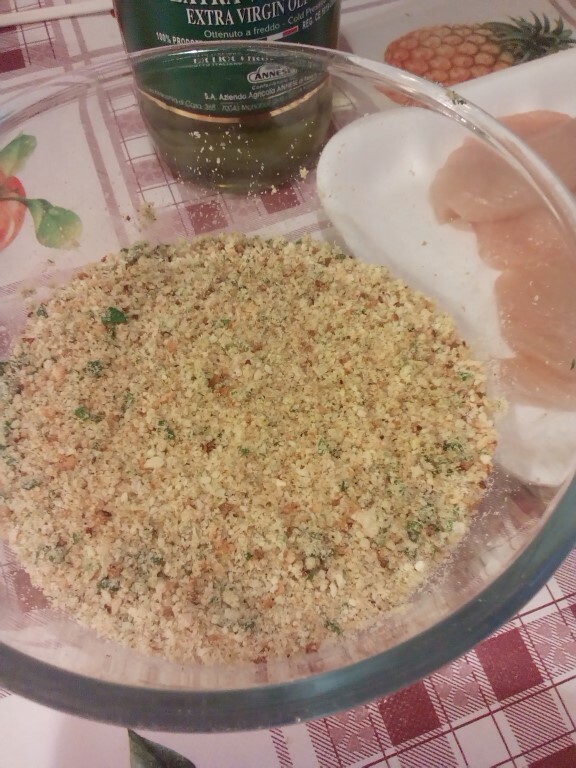 Prepare the coating by mixing together the breadcrumbs, garlic, parsley,cheese, olives and capers. Beat the steaks so they are thin and an even thickness. Coat them first in oil, and then the bread mixture. 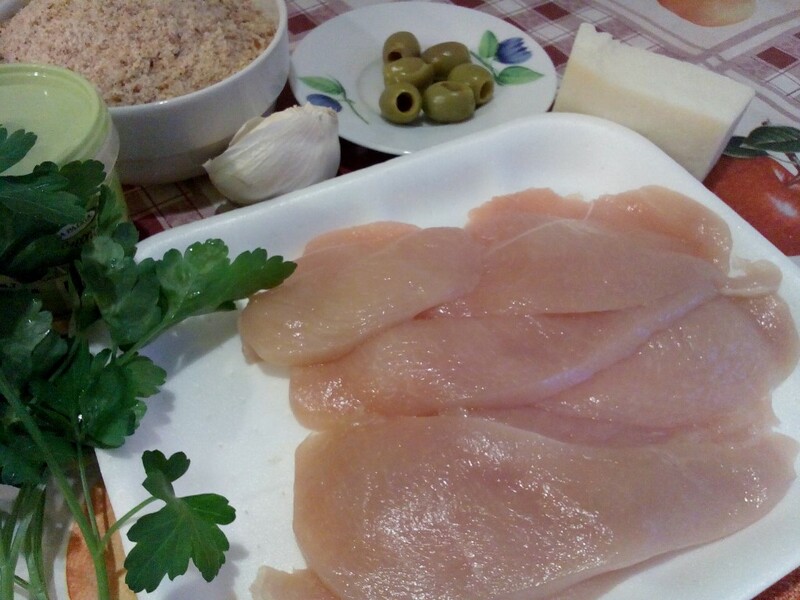 Place the cutlets on a baking tray that you have first lined with greaseproof paper. Bake in a preheated oven at 200°c until they are golden brown. About 10 minutes. Inspector Montalbano is a popular fictional Sicilian police detective, created by Andrea Camilleri. The stories are set in the small town of Vigata , and, being Italian, feature food quite prominently. 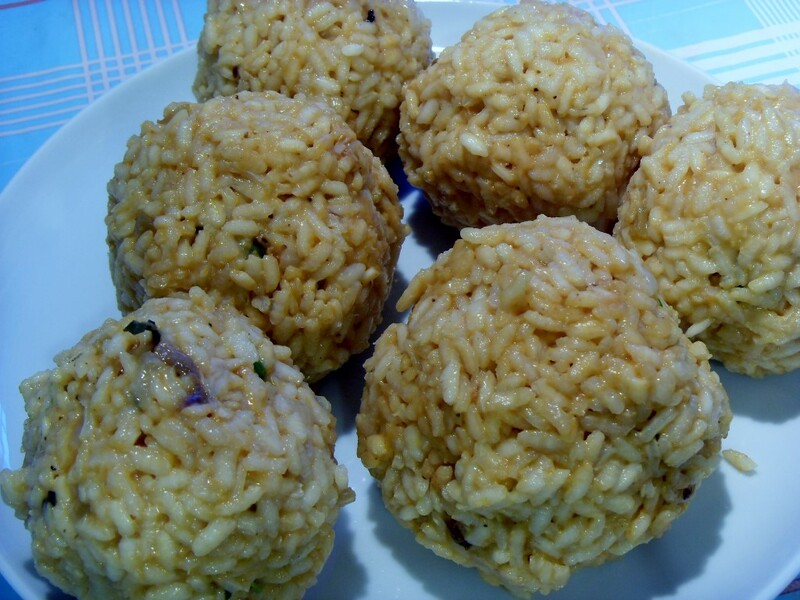 In the story Inspector Montelbano’s Arancini (Gli arancini di Montalbano), the famous Sicilian dish is used as a plot device. Does the inspector want to leave Sicily to be with his girlfriend in Paris, or does he want to stay and eat his housekeeper Adelina’s arancini. I won’t tell you what he decides, but you can probably guess 😉 My father is a fan of the books, and he is fond of arancini when he visits me, so I decided to recreate this recipe from the book. 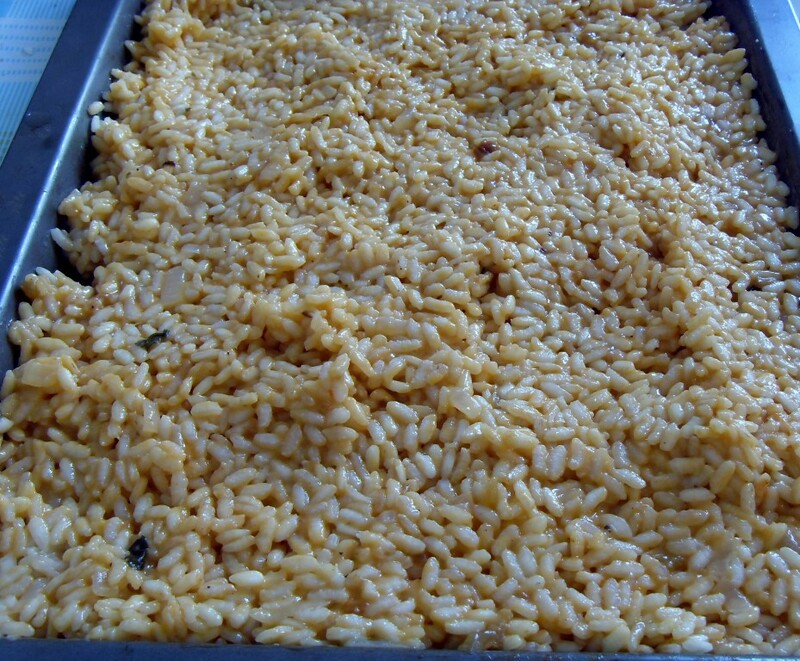 The main differences between Adelina’s dish, and the more well known version is that she uses béchamel sauce instead of cheese. Also the ragù is made with whole pieces of meat, not mince. béchamel sauce made with 250ml of milk. Fry the onion and celery gently in a little oil. Add the two pieces of meat and brown them on all sides. Add the passata and tomato purée diluted in a little hot water. Season with salt and pepper, cover and cook over a low heat, stirring occasionally, and adding more water if needed. Cook slowly for at least an hour and a half, longer if possible. Add the chopped parsley and basil, and cook for a further half an hour. This sauce can also be made in advance. 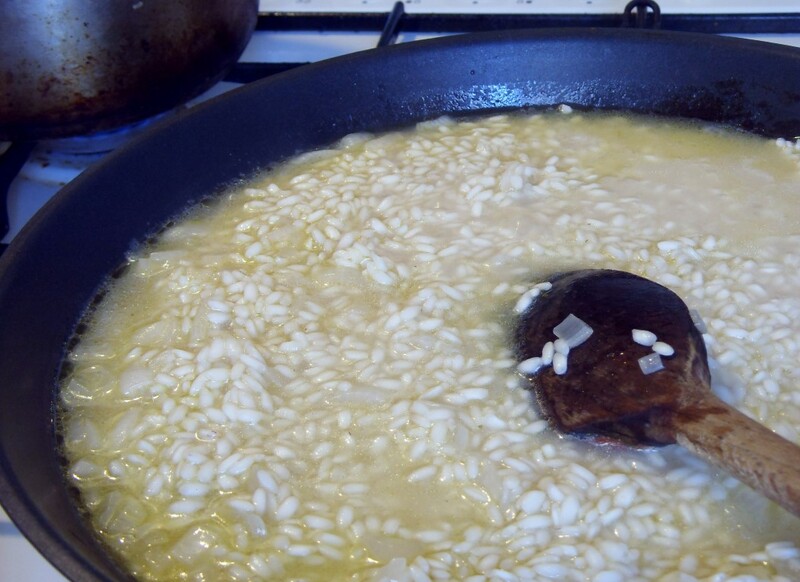 Tip the risotto out onto a marble slab (or a large tray), let it cool a little and then mix with a little of the tomato sauce and stir in the eggs. Let it cool completely. Put it into the fridge for about half an hour. Meanwhile, cook the peas in boiling salted water. 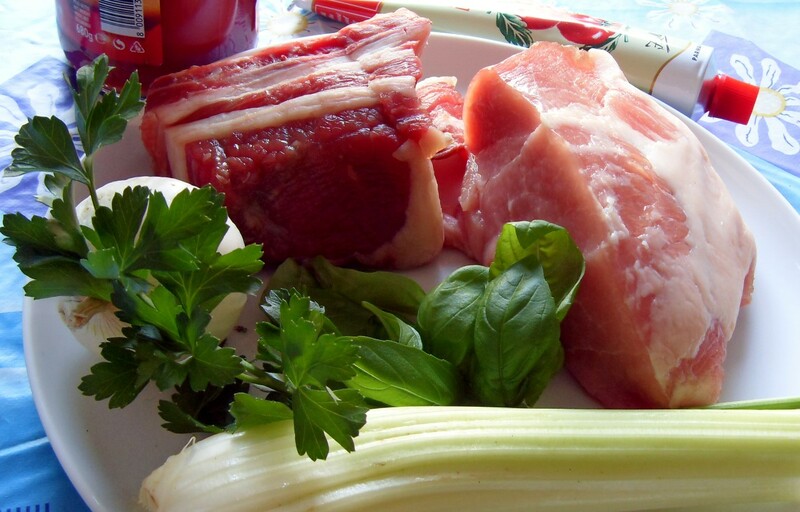 Chop the meat with a mezzaluna or a knife. Montalbano forbids the use of a food processor (nenti frullatore, pi carità di Dio!) 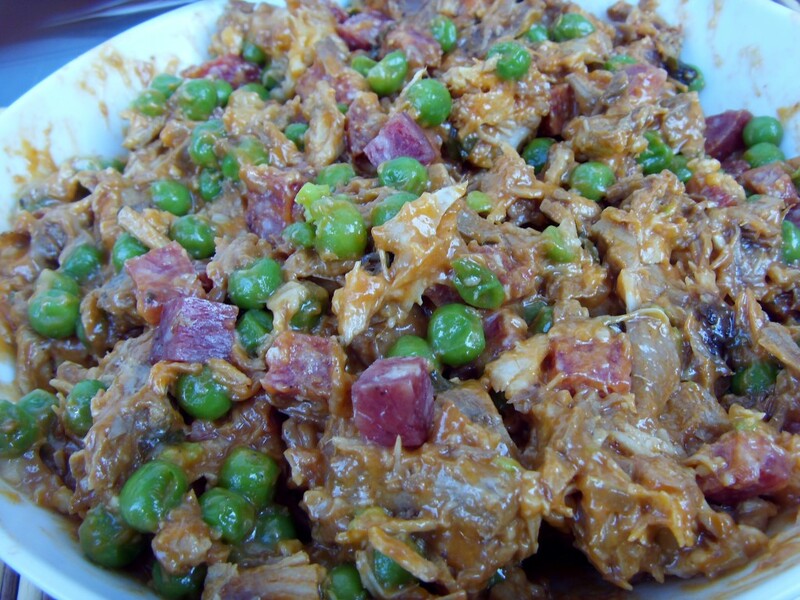 🙂 Mix some of the béchamel sauce with the peas and salami cut into small cubes. 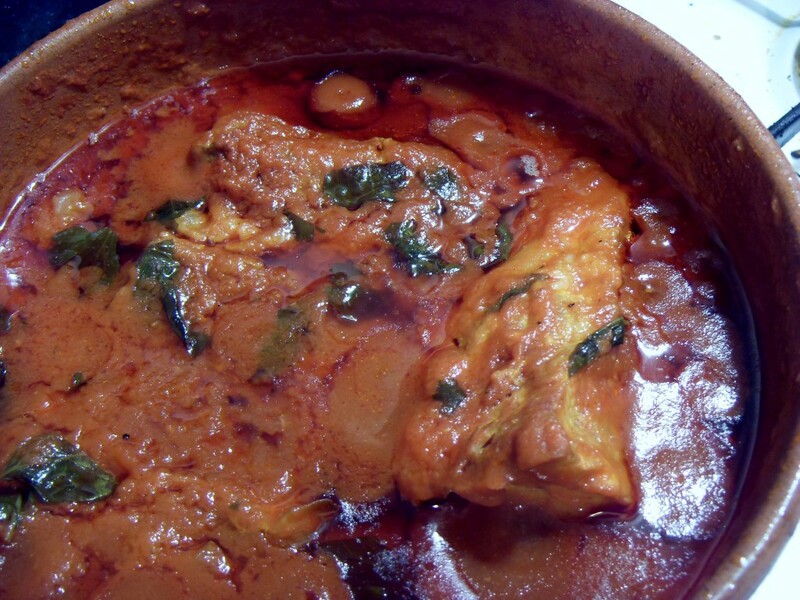 Add enough of the tomato sauce from the meat to make a fairly thick mixture. 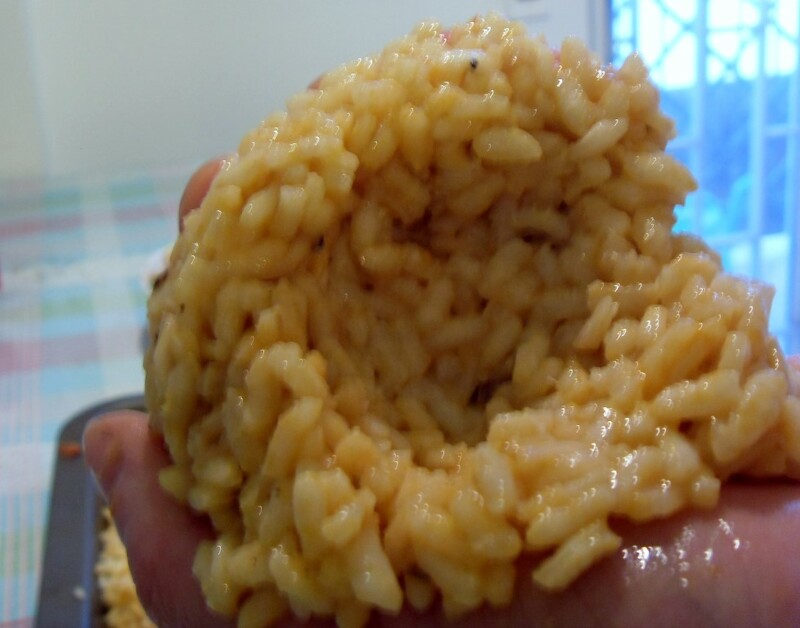 Slightly dampen your hands and take some of the rice and roll it in the palm of your hand trying to make a sort of bowl. Put a spoonful of the ragù mixture in the middle. 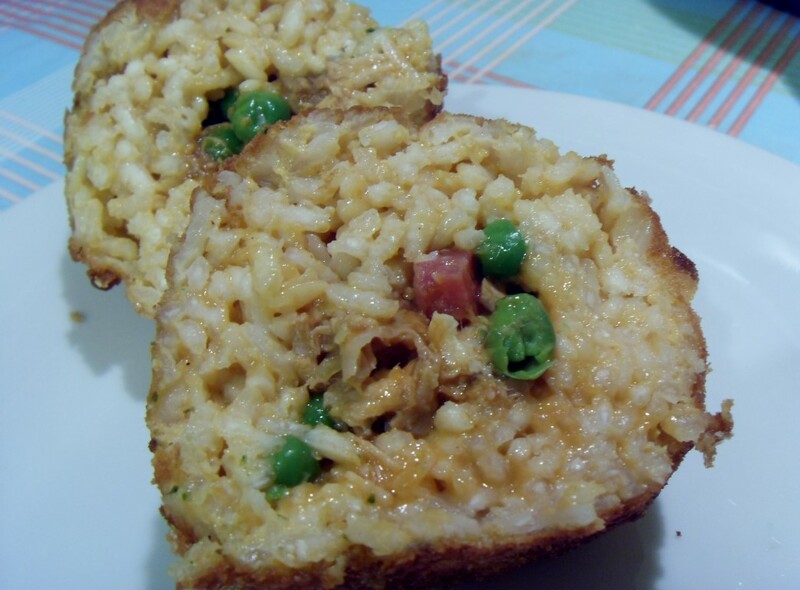 Cover with a little more rice and form it into a ball.You are aiming for about tennis ball size. Continue until you run out of rice. You probably won’t need all of the filling. Put them in the fridge again for half an hour or so to firm up. 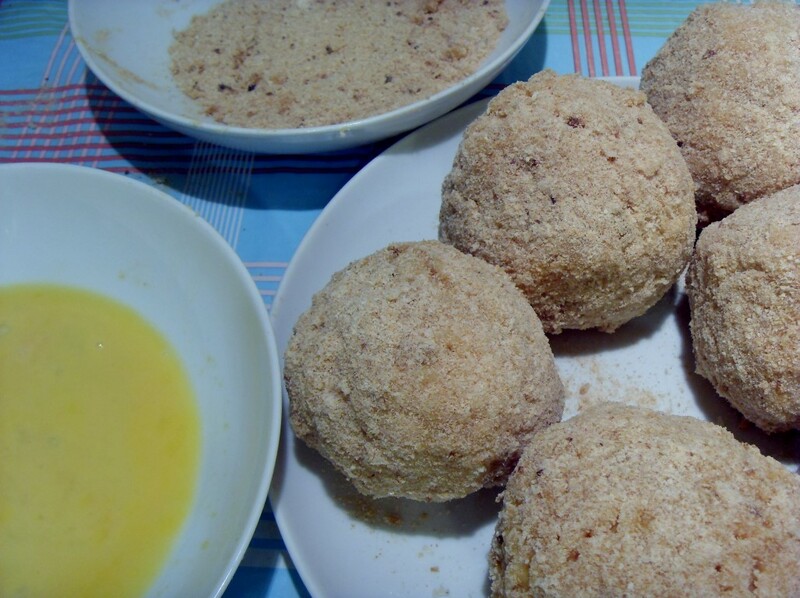 Coat with egg, and then roll in bread crumbs. 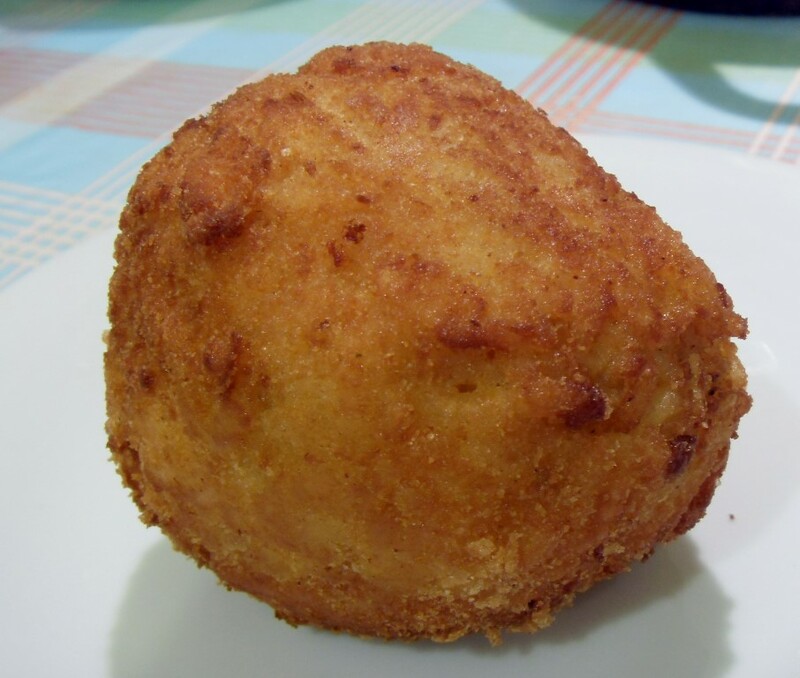 Fry the arancini in hot oil (about 165°C) until they are golden brown. Drain on kitchen towels. They are best eaten hot, but are also good cold.